Bluetooth peripherals are getting a slight bump in capabilities that will allow them to connect a web of there own and thus create a true Internet of Things. The Bluetooth Special Interest Group published a new 4.1 update that will be pushed as an over-the-air update to upgrade all Bluetooth radios currently in market. With Bluetooth 4.1, devices like fitness trackers will be able to collate data from separate sensors like heart monitors and temperature gauges and then report the findings back to a smartphone. Flip it, and the Bluetooth device can utilize the phone's gyroscopes and other sensors to pull data. Bluetooth 4.1 also supports bulk data transfers, so information from a multitude of sensors can be communicated at once to cater to more information coming in a single burst, which could be utilized to create a more accurate snapshot of data. 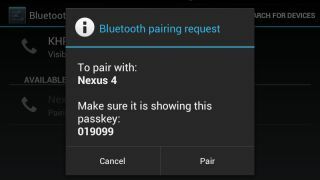 The Bluetooth 4.1 updates aren't just targeted at the fitness focused, of course. The 4.1 release improves the cooperation between LTE radios and Bluetooth devices to avoid interference. It also extends the timeout period between devices, so that users won't have to re-pair their smartphone with the car radio every couple of minutes. In a move to lay down groundwork for a more connected future, Bluetooth SIG implemented a dedicated channel that would connect all 4.1 devices together. It works in a similar fashion to how wireless routers are able to connect everything from TVs, game consoles, tablets and phones through IP-based connections. "It's not a mesh network scenario, but rather the beginning groundwork to make it possible for Bluetooth enabled devices to speak directly to the internet," a SIG spokeswoman told PC World. The new Bluetooth spec specifically adds a standardized way to create a dedicated channel which could be used for IPv6 communications. Bluetooth SIG said this new channel would support up to "340 trillion trillion trillion addresses." With that many available channels, we doubt you wouldn't be able to wirelessly control every Christmas light hanging on your house, and your neighbor's, and their neighbors, and…you get the idea. Just after the new year, Beats will launch a whole new streaming music service.